Prices | Driving Lessons Abbey Wood | Lewisham | Woolwich | Peckham. Intensive Driving Lessons. Pass Plus Registered. From time to time we may need to change driving lesson times, dates or instructors due to sickness / mechanical breakdown. We cannot be held responsible if the DSA have to cancel or postpone the driving test for whatever reason, but we will do our upmost to get another test date as soon as possible or covering for another driving test. We only use top class instructors (we do not use trainee instructors). If you prefer a semi-intensive course over a longer period of time, then we are the one for you! We arrange everything for you, we will have a practical test in place for you at the end of your course, so you can concentrate on your driving lessons and getting up to test standard, so there should be no reason for you to travel long distances to do a residential course. 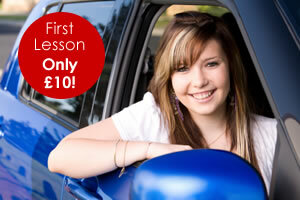 WHATEVER DRIVING COURSES OR DRIVING LESSONS YOU NEED, WE ARE THE DRIVING SCHOOL FOR YOU!!! Your driving instructor has the right to withhold the use of his vehicle for your driving test if in their opinion the pupil is not up to the required driving standard. AUTOMATIC DRIVING LESSONS IN LEWISHAM, DEPTFORD, GREENWICH, ELTHAM, CATFORD, BROMLEY, ORPINGTON.